The way your nursery area rug will look and feel, as well as its durability and cost will all be affected by how the rug is made and what it is made of. If you already know what type of baby room rug you want, visit our Nursery Room Rugs Store. Density: Refers to the tightness of the tufts, or knots. The denser the weave, the better the nursery area rug will wear and the more it will cost. To test the density of a baby room rug, try to wriggle your fingers down to the base of the rug fibers. Generally speaking, the harder this is to achieve, the denser the rug weave. Twist: Refers to the amount of yarn spirals. A yarn twist that is tighter provides added durability, and adds to the price of the rug. In a low traffic area such as the baby nursery, rug durability needn't be your primary concern. What is of utmost importance is the fiber that the rug is made from. In general, a natural fiber nursery rug will be more expensive than a synthetic rug of the same size. Fiber: Nursery room rugs may be constructed from a variety of fibers of synthetic or natural origin. Natural fibers provide soft, low luster colors and long-term performance. They are also best for your baby's health. Synthetic fibers provide brilliant colors, softness, easy maintenance and value for your hard earned cash. Nursery rugs may be hand-made or machine-made. There are different types of hand-made nursery rugs including knotted, tufted, hooked, looped, braided and flat weave. Hand-made rugs take much longer to produce than machine-made rugs and are, therefore, more expensive, but not necessarily better. Although hand-made rugs will generally be of a high quality, factors such as density, material and weave should also be considered when selecting an area rug. If you decide on a hand-made nursery area rug, make sure you get what you are paying for! Hand knotted area rugs are woven by hand and are secured to the foundation by knotting, versus gluing, producing exceptional density and quality. Rugs such as Orientals and Persians are made using this method. These rugs are generally viewed as heirlooms rather than baby nursery decor. This is one type of rug that should be making like a magic carpet and flying out the window when it comes to nursery decor options. Hand-hooked area rugs are made by punching yarn through a canvas cloth creating a looped pile. The yarns are then glued in place, and a cloth is attached to the back. 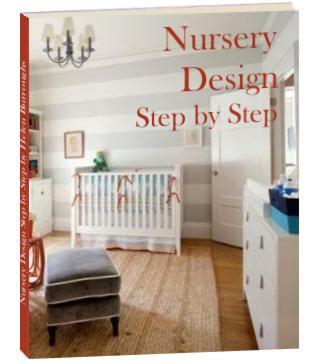 This is a much quicker process than hand knotting and produces a high quality but less expensive nursery area rug. Hand-tufted area rugs are usually created by punching yarn in a cloth that is attached to a frame. The backs are then glued with latex and the surface loop pile is sheared to produce a flat plush surface. Hand-tufted area rugs are also generally less expensive than hand-knotted rugs. Flat weave area rugs are less expensive, and easier to make than knotted, hooked or tufted bahy room rugs. Kilims and Dhurries are made using this method. Flat weave rugs are usually made of wool, cotton, bamboo, or nylon. They do not have a pile and are reversible. Because there is no pile, they are easy to keep clean, making them a good option for a nursery area rug. If you find one that is machine washable - even better! Braided rugs are constructed by hand-braiding yarn or strips of cloth and then sewing the braids together. Braided rugs can be made of any fiber, do not have a pile and are reversible. Another good choice for your baby nursery - you can even make your own. Machine-made nursery rugs are made on a power loom. 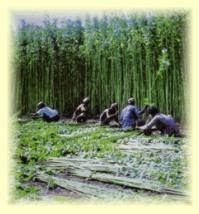 The loom is strung with a cotton or jute warp, and then woven using wool, nylon, polypropylene, or other material. Computer operated machines produce baby room rugs according to a preprogrammed design. Machine-made area rugs are available in a large variety of sizes, colors and designs. They are available with or without a pile (flat weave) and are very popular due to lower pricing and wider availability. Machine-made nursery room rugs should be more than adequate, in terms of quality, for most baby nursery designs. Natural: These are plant or animal fibers and include wool, cotton, sisal, jute, and seagrass. Each of these materials has its own set of characteristics that make it either desirable or unsuitable for a nursery area rug. In general, natural fibers are preferable, because they do not have a negative impact on your baby's health. Let's take a closer look. Wool is widely used and is the main component of higher quality pile rugs. Wool is soft and resilient. It resists dirt and stains, and is extremely durable. Wool is also dust mite resistant. Both machine and handmade wool area rugs are available, in a variety of different colors. Wool is a good choice for a nursery room rug, but may be a little expensive when you consider the number of baby spills you are likely to have in your baby nursery. Cotton is soft, durable and absorbent and is available in many colors. It is also machine washable - a big bonus for a nursery area rug. Cotton is often used together with wool. 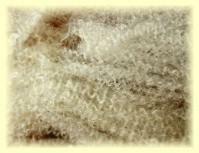 Cotton-wool blends are less expensive than wool rugs, but still retain many of the advantages of the wool fiber. Both cotton and cotton-wool blend rugs are good options for a nursery area rug. 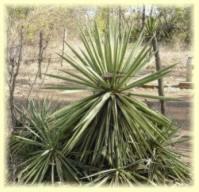 Sisal is the most widely used of the plant fibers for rug making. The fibers are spun into a smooth textured yarn. Sisal rugs resist soil, dirt, build-up and water making them easy to clean. They have a natural sound dampening effect and are anti-static, meaning that they do not attract dust from the air. Therefore, they are less likely to breed dust mites, making them a good choice for allergy sufferers. Their downside is that they are not available in a large variety of colors like wool and cotton, but you can always use other decor elements to add color to your baby nursery design. Jute is an inexpensive natural fiber option, but has the disadvantage of susceptibility to stains. It can also be coarse and is, therefore, better as part of a blend. You don't want baby scratching those nibble-icious little knees on the nursery rug. Seagrass has a naturally smooth texture, and is soft and durable. Most seagrass rugs are left undyed but are available in shades from cream to rich caramel brown, due to natural variations in the plant fiber. Choose a shade that suits your baby nursery design, and add accent color with other decor elements such as pillows. Olefin is a petroleum-based product. It is one of the predominant machine-woven synthetic fibers. Olefin has a soft wool-like feel. It resists wear, stains and mildew while being colorfast, strong and affordable. Because of the petroleum base, these rugs are among the worst culprits in toxin off gassing and are not recommended for a nursery area rug. Nylon is another petroleum-based product. It is manufactured in an unlimited variety of colors, resists soil, mildew and stains and is easily cleaned. Nylon rugs are durable and usually less expensive than natural fiber rugs, however, because of off gassing they are not the best choice for your baby nursery. Any of the above natural and synthetic fibers may be used alone or in a blend combination to make a nursery area rug. Viscose is made from wood pulp. It is usually used as part of a blend as a replacement for real silk. It is bright, colorfast and fade resistant. Acrylic is usually blended with other fibers to give the look of wool at a lower cost. It is soft, durable, stain resistant and available in an array of vibrant colors. Polyester adds softness and durability to a baby room rug fiber blend. It is moisture, stain, abrasion and fade resistant. Unfortunately, it is also a petroleum-based product and, therefore a major off gassing contributor. If you can afford it, a natural fiber nursery rug is by far the best choice for your baby nursery. However, there are many beautiful synthetic nursery rugs available at much lower prices. If your family is not particularly susceptible to allergies you may be perfectly satisfied with one of these. Click here to find out what else to look for in a nursery room rug.